Wow........... This is scary, no? A bullet was stopped by the ballistic glass shield surrounding a window of the White House. 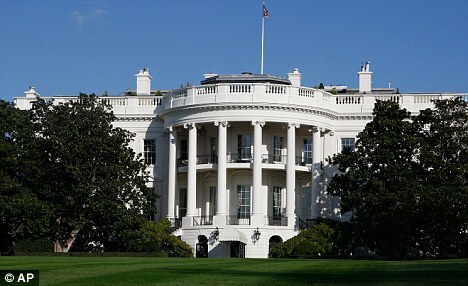 Secret Service said they'd also found another bullet in another area of the White House. Though they say there are no specific concerns that this was an assassination attempt of any sort, but it still makes you consider..how safe is our first family really?! This story is still developing, but they are considering the bullets to be linked to a shooting on Friday near the National Mall. The suspect is Oscar Ortega-Hernandez, a 21 yr. old with legal issues in 2 other states. A warrant has been issued for his arrest. Crazy.Check the report from local news below. View more videos at: http://nbcwashington.com/?__source=embedCode.